Experience the world and all its wonders in ultimate style. 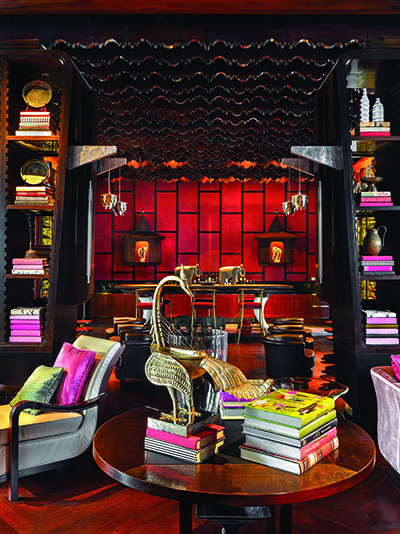 Ancient legends seem to echo from the temples of Angkor Wat — situated just moments from your stylish hotel — while Europe’s resplendent palaces and medieval monasteries have been transformed into luxurious places to stay. No matter how far you want to travel, we can reserve your home away from home and enhance your vacation with special privileges and valuable offers. Park Hyatt Siem Reap is conveniently located in the heart of the city, within walking distance of the high-end selection of boutique shops, bars and restaurants. It is a short drive to Angkor Archaeological Park and Siem Reap International Airport. Synonymous with luxury and style and the epitome of service, Park Hyatt Siem Reap ensures guests receive a personalized and warm Cambodian hospitality experience. Over the years, Gstaad Palace has earned an unrivaled reputation for discreet, refined hospitality and has always welcomed the most discerning international clientele. 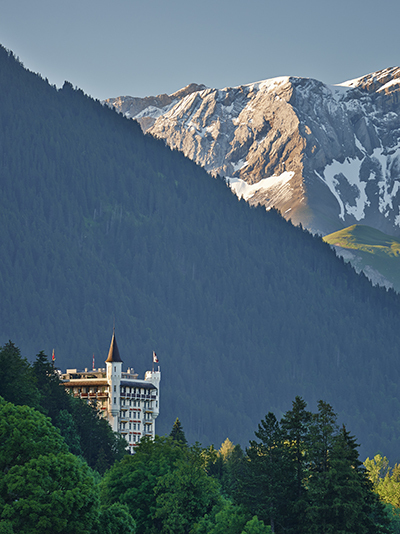 Set on a hill overlooking Gstaad, the resort is privileged to offer a breathtaking view of the majestic Swiss Alps. Enjoy traditional Swiss dishes, savory grill specialties, an exceptional Italian menu and exquisite gourmet cuisine at the hotel’s five superb restaurants. Unwind in the relaxed lobby bar, the stylish Bar du Grill or the famous GreenGo nightclub. A wide variety of activities is available near the hotel such as golf, heli-skiing, hot air ballooning and more. It’s rare, especially in a city as magnetic as Florence, for a hotel to be a destination in itself.Nestled in the verdant Fiesole hills and marrying Renaissance splendor with contemporary luxury, this former medieval monastery captures the imagination. Blending 14th-century artistic flair with the region’s ethereal beauty, the hotel is as inspiring as the city’s greatest cathedrals and galleries. 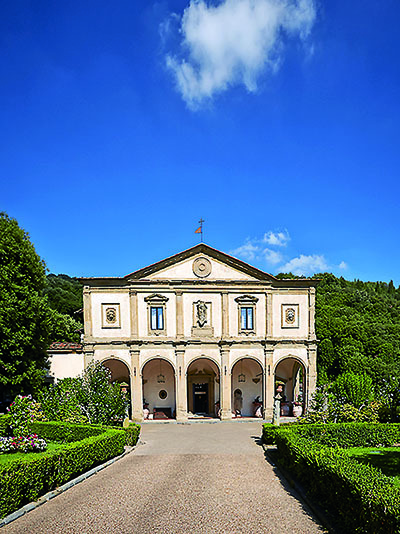 Its façade, attributed to Michelangelo, is hugged by lush woodland and terraced gardens. From here, visitors enjoy an unparalleled panorama over Florence and the Chianti hills beyond. 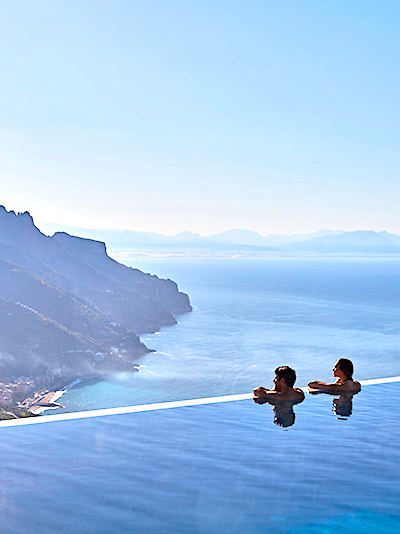 Set on a cliff edge 1,000 feet above sea level, Belmond Hotel Caruso is your private balcony over the Amalfi Coast. This former 11th-century palace boasts marbled hallways leading to rooms brimming with antiques and paintings by old masters. Join head gardener Gaetano and explore verdant grounds, over 100 years in the making. Meander down the rose arbor to an infinity pool, an architectural triumph that seemingly extends straight into the ocean. Cascading down the mountain, past lemon groves and olive vines, is Ravello, the mesmerizing “city of music.” Paradise found. Inspired by the world? Contact us and we’ll handle all of the details to bring your travel visions to life.